Sometimes it takes only one letter to bring happiness to a person on another side of world! This is what happened with one of our letters - Angela from Singapore sent this lovely letter to Kim from Netherlands. Just take a look at this Love inspired package! 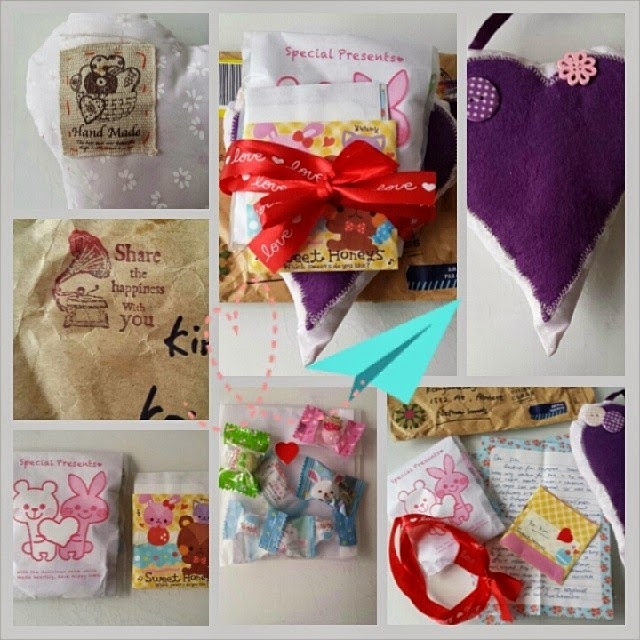 It included hand sewn heart, stickers and candies and letter and more! Don't miss our next letter - follow our blog with Bloglovin' or on our Facebook page!